The Queen Bee Styling Services are designed to be affordable and excellent value. Let me show you how to dress with style and confidence and in a way exactly suited to you. You’ll be amazed what a difference even the smallest change can make. We make looking great easy, affordable and stress free. 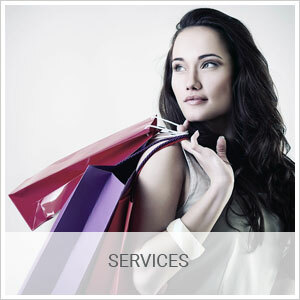 We’ll help you develop your fashion style and make your wardrobe work hard for you. Whether it’s a personal shopping session, a wardrobe refresh or a complete makeover, our services are tailored to give you the confidence to feel great about how you look. You may already have the perfect capsule wardrobe lurking underneath the accumulated clothes of many a shopping expedition. We all have them – impulse buys, regrettable sales purchases, the clothes we can’t quite bring ourselves to get rid of, even though we never wear them. Now you can go through your entire wardrobe with a professional and practiced guide and see your clothes in a whole new light. Not everyone loves shopping, in fact for those of us who are pushed for time and unsure of what exactly we should be buying, it can be stressful, difficult and the opposite of enjoyable. Let Queen Bee Styling take the strain and make your shopping expedition fun and productive. Whether it’s a capsule wardrobe or an occasion piece, you’ll come away with something you’ll love that’s exactly suited to your needs, knowing you look fantastic and armed with handy tips for the next time you go shopping. Before the session, you’ll be sent a questionnaire and called by Sally to discuss what you would like to achieve from the day. We’ll start with a brief chat to run through the day’s itinerary and then shopping will commence! 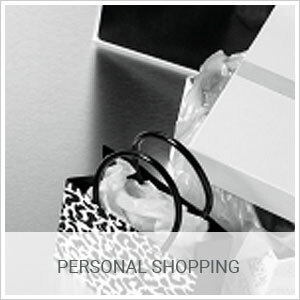 We will select a range of clothes to suit your body shape, lifestyle needs and budget. You don’t even have to leave the changing room if you don’t want to! You’ll be given an honest opinion of what works best for you and the colours, shapes and styles that suit you. The session concludes with style tips on accessorising and how to build a capsule wardrobe. Occasionally we all yearn to shake things up a bit and try something different. If you feel stuck in a rut and in need of a complete image overhaul, then our full makeover service is for you. 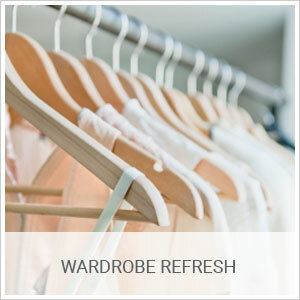 Our ultimate service combines Wardrobe Refresh and Personal Shopping to give you a fantastic new look and a wardrobe full of clothes to go with it. This top-to-toe experience will help you rediscover your sense of style and ensure your wardrobe works for you. Before the session you’ll be sent a questionnaire and called by Sally to discuss what you would like to achieve from the experience. We will begin by going through your whole wardrobe, separating the items that suit you from the unflattering ones. I’ll explain the shapes, colours and styles that work best for you, and identify the gaps in your wardrobe which will become the basis of your shopping list. We will then hit the shops! I spend time beforehand carrying out research on where to buy the items, so you can get the maximum benefit out of our time together. We will build a stylish, flexible and practical capsule wardrobe that works for your body shape, budget and lifestyle! This is an amazing, life changing experience that results in a de-cluttered wardrobe full of clothes you look fantastic in. To complete your full makeover, we can arrange for a make-up lesson and hair session. Please contact me to discuss this. The complete session is 3 hours for the wardrobe refresh and 3 hours for the personal shopping session. These can be split over two non-consecutive days if you prefer. This is just a general guide to our services. All services can be adapted to suit the individual needs and we are delighted to offer special occasion styling for events and parties that includes hair and make-up. Please call to 07956 293845 at any time if you’d like to discuss how our services can help you, or send us an email. “Like many women, I was at war with my body and my wardrobe. I’d spent my life hiding away in black, usually in a size or two too big. After having an accident last year and taking a career break, I began to regain my health and lose weight, but my wardrobe hadn’t kept up. I’d look in the mirror in revulsion and spent hours agonising on what to wear.